Rare to Source in the UK! 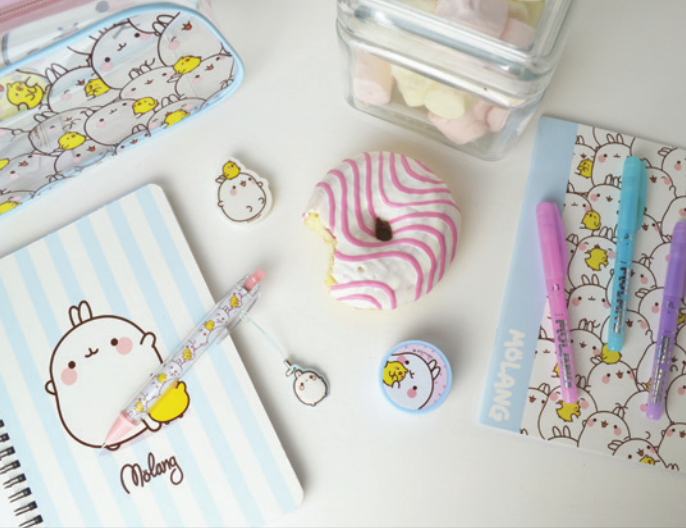 Meet Molang - the cuddly rabbit with a big heart that lives life to the full. 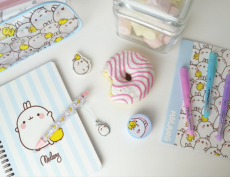 Together with his best friend Piu Piu the shy chick, they share exciting adventures in all sorts of disguises and costumes! 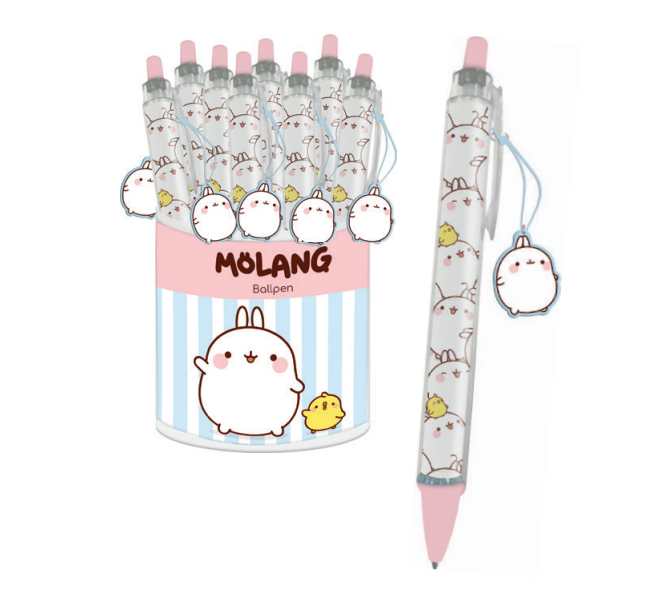 Molang - Ball Point Pen with Dangler. 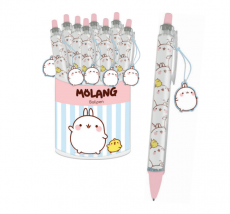 Retractable ballpen with Molang dangler . Pack Size: 1 in a case. This product was added into our inventory on 29 May 2018 and has been viewed 281 times.